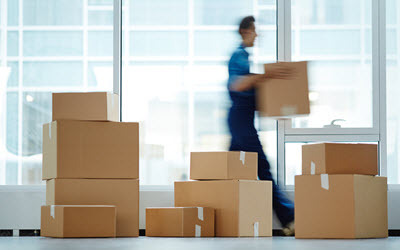 Moving is not only a task for homeowners and residents, but it’s an industry and business that companies capitalize on daily. Sometimes hiring a moving company is the best option for your move to ensure the safety of your items, to move large quantities of belongings from one location to the next, or to deal with special situations like moving a heavy piano or family antique. The important thing to remember is that moving companies are ultimately in business to make a profit, but they want and need patronage from people like you to make the all mighty dollar. As with any other business deal, this gives you some leeway in bargaining and contract negotiation. If you’re new at contract negotiation, here are some tips to help you negotiate a reasonable contract with a moving company. Of course pricing is important, but nothing good ever came from automatically jumping at the lowest price you see; this is especially true when it comes to choosing a moving company. Before contract negotiation even begins, see if you can get moving companies to price match others who quoted you lower. There may be a good reason why other companies prices are lower (usually it’s because their services match their low pricing); however, it’s worth a shot at lowering your moving costs with a company you’d prefer doing business with. Besides simply looking at pricing and asking companies to price match other quotes, it’s important to research the moving companies in your area – mainly their qualifications and experience. You can find out more about a moving company by looking up their reputation with previous clients in the form of online reviews. Online reviews can offer a plethora of information to consumers, and will help you narrow down your list of viable moving company options to just a few. Unfortunately, movers are taken advantage of regularly because they aren’t aware of the qualifications, licensing, and certifications that moving companies are required to have. This leads to moving scams and fraud, which ultimately leave consumers in a bad spot with a lot of money wasted. Moving company fraud is alive and well in the U.S., so be sure to put in some time looking up the company’s registered DOT (department of transportation) number. This is what holds them legally responsible for carrying out sound business practices. Many moving companies set their pricing based on the time of year, time of month, day of the week, and even hour of the day. This is a huge area for negotiation, as you can significantly reduce moving costs by switching your move to a different day or time. It might not be optimal, but it also might work out greatly in your favor to use this as a point of negotiation with moving companies. They want your business, but they’ll be happy to move on to another customer during peak moving seasons and times. Therefore, during seasonal downtime is often the period where you have the most negotiation power. After all is said and done, business deals go both ways. In any contract negotiation it’s important to remain firm – given that you’ve done your homework and ample research on what is fair and expected in a moving contract. Staying reasonable is not only important for your working relationship with the moving company you choose, but it will most likely get you what you want in the end. Sure, it’s a little more work, but in the end you’ll be glad you put in the extra hours. Many moving companies use their contracts as a way to swindle clients and get the most out of the deal as possible. Unfortunately, this leaves a bad impression on consumers, and gives a bad name to companies in the moving industry. Here at Watford Moving & Storage, we have worked hard to achieve an outstanding reputation with the residents of Santa Clarita and other Los Angeles County areas. We are honest and straight-forward with our clients, and fairness is one of the qualities we proudly embody. If you’d like to speak with one of our helpful professionals to learn more about our company policies, pricing, and other services, please contact our offices directly.